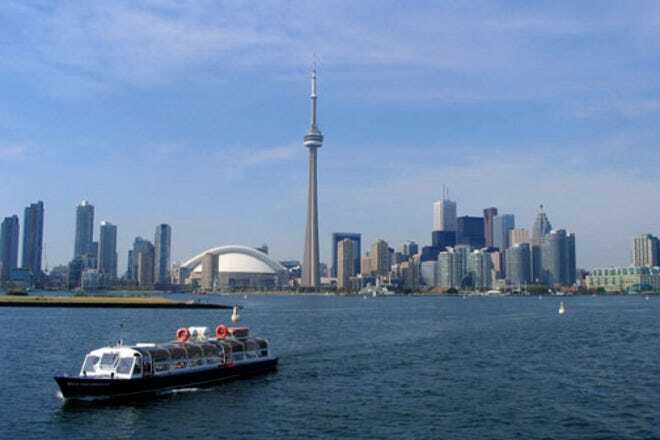 Every year, Toronto gets more populous and more attractions take root to entertain the billowing population. Some have been solidly standing for years, like the ubiquitous CN Tower or the culture-soaked Art Gallery of Ontario. Kid-friendly additions include Ripley's Aquarium, where you can meet sharks safely in the centre of the city, or High Park, which is the place to get your nature fix (with ample space for hyper kids to run around). Start your trip planning right here. Hot Tips: If you want to bike around Toronto, please note that Toronto is not very bicycle-friendly. Plan your route carefully and exercise caution when you are on the city streets. Hot Tips: Downtown Toronto has extremely expensive parking. If possible, walk, take transit or an Uber. Hot Tips: Whatever time of year you're visiting Toronto, you can be sure there's a festival that seems tailor-made for you. When you have ample exploring to do in a city like Toronto, it's all about location, location, location. From low budget to luxury, Toronto is swarming with competitive hotels looking to help you rest your head at night. Booking downtown is well worth it if you want to be within walking distance of museums, sports venues (like the Roger's Centre) and Toronto’s subway system. Off-the-beaten track hotels do exist for a lower price, but you may have to factor in transit time to get to the top attractions. Hot Tips: "Off the beaten track" hotels might seem like the easiest way to save money, but check with a local about the neighborhood if you can. Toronto's transit system is not always reliable, and if you are on the outskirts of the city, you will get frustrated. Hot Tips: Book downtown hotels early since these are popular choices for conventions and tourists alike. Ask any Torontonian what their favorite restaurant is, and they'll be sure to have an emphatic opinion. Toronto is a city filled with foodies who Instagram their orders, from food truck doughnuts to everything-but-the-kitchen-sink burgers. 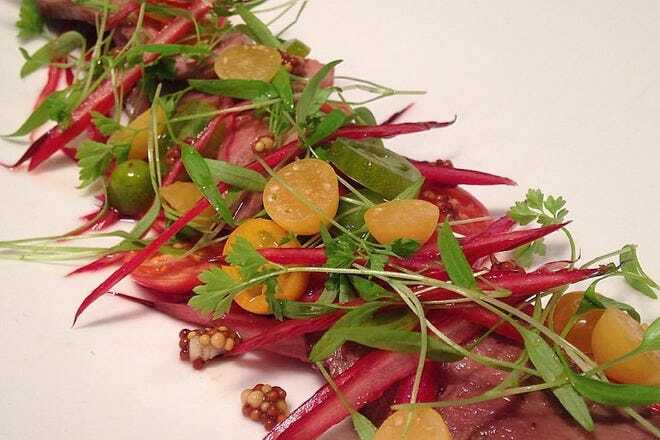 Toronto's best restaurants are somehow able to stand out in the sea of competition by giving people flavors that could make the chattiest person silently appreciative. You could really get a good meal anywhere, but do try Roncesvalles, the Ossington Strip and Liberty Village for amazing cafes and restaurants. Hot Tips: If you go to the Canadian National Exhibition (CNE) and get tempted by deep fried everything, look up the Cronut incident of 2013. We're just sayin'. Hot Tips: The restaurants that are attached to the tourist locations may be convenient, but in most cases, you can do better. Hot Tips: If the restaurant is getting a lot of press, book your reservation at the same time as your hotel. If your desired restaurant won't take reservations, go in their early hours to secure a table. Hot Tips: Toronto's food trucks. With lots of red tape, food trucks are finding a way to make it work with social media. Tracking one down is a worthy (albeit quirky) excursion. 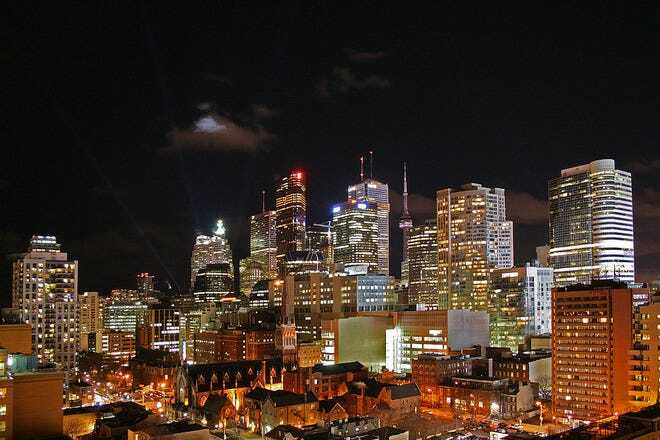 Even if the last time you were a night owl was when grunge was trendy, you might want to make an exception when you visit a dynamic city like Toronto. You can stay out past your bedtime with nightlife ranging from live bands and comedy acts to world-class theatre or people watching. In many areas of the city, people watching does certainly count as entertainment. 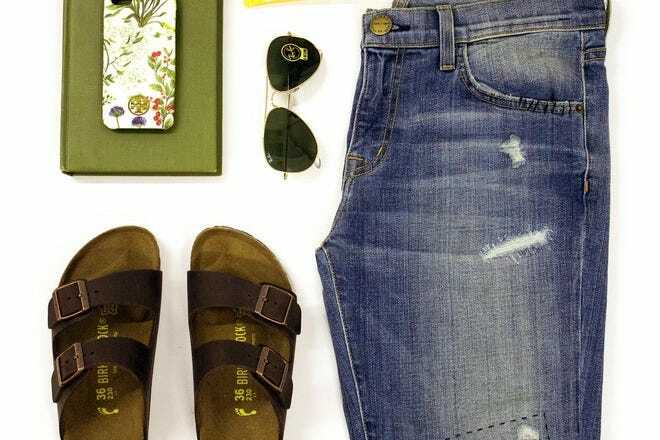 In the summer, you can catch outdoor movies at Christie Pits or the Beaches and many free outdoor concerts in the Harbourfront or Distillery Districts. Hot Tips: Clubs in Toronto can be fun and frenetic, but they can also be youthfully oriented. If you are over 30, do your research to make sure you don't end up in a place where you feel like an unpaid babysitter. Hot Tips: Live music in Toronto is eclectic and fantastic. Put your feet up and let someone strum for your audial pleasure. If you used to have that magnet that claimed "Veni, Vidi, Visa" (I Came, I Saw, I Shopped) then Toronto is a city that will speak to your heart. From sprawling malls to one-of-a-kind boutique shops, you are hard-pressed to find an area of Toronto without a charming shop around the corner. Shopping in Toronto could put some serious mileage on your Visa, with everything for the tech-lover to the bookworm (and everyone in between). Mall rats will love The Eaton Centre and Yorkville, while those looking for unique Toronto experiences will flock to West Queen West or The Distillery. Hot Tips: Cloverdale Mall, which is one of Toronto's worst. Hot Tips: Bloor-Yorkville and Queen West are hot areas of Toronto if you want to make shopping into a sport. Five of Toronto's most unique features and characteristics. 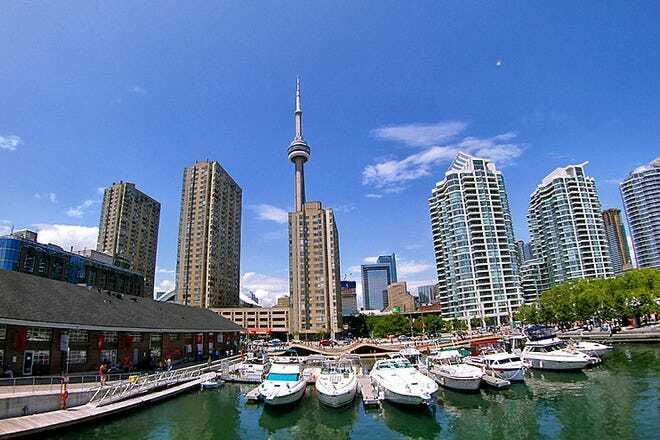 Toronto is famous as one of the most ethnically diverse cities on the planet. Thanks to a liberal immigration policy, North America’s 5th largest city is home to more than 70 different nationalities. Ride the subways and you’ll hear over 100 languages being spoken. The city’s official motto is “Diversity Our Strength” and you’ll see the word welcome displayed in 64 languages on the “Welcome to Toronto” poster seen throughout the city. Toronto-the-good used to refer to the conservative nature of city but that adjective is applied to the diverse cuisine. Toronto is becoming a foodie destination known for its cosmopolitan mix of restaurants. On one short block you’ll find restaurants from all corners of the world and you can eat your way around the world very easily enjoying cuisine from Europe, the Middle East, Asia and Latin America. The fresh, local movement has also taken hold here in a big way with many chefs creating signature Canadian dishes. Two major markets offer a chance to enjoy the local produce. 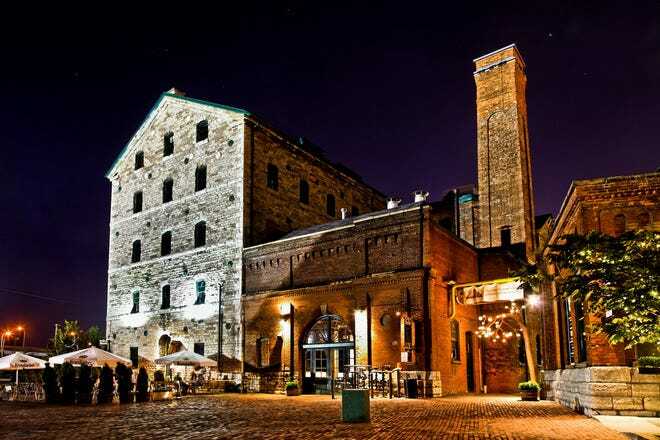 The St Lawrence Market is a city-block complex surrounded by great Italian restaurants. Further west, funky Kensington Market has some great Latin American and Caribbean eateries. Since it also borders Chinatown, you are guaranteed to find some excellent Chinese food in the area as well. Add the respectable wines from the Niagara region, only two hours away, and you’re in for some memorable meals. Toronto's neighborhoods are particularly distinctive and easily accessible. 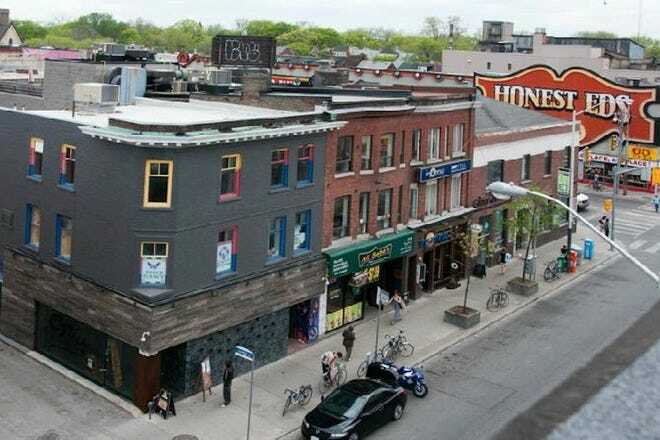 Some such as the Danforth (Greektown), Roncesvalles and Cabbagetown were actually their own village at one point. 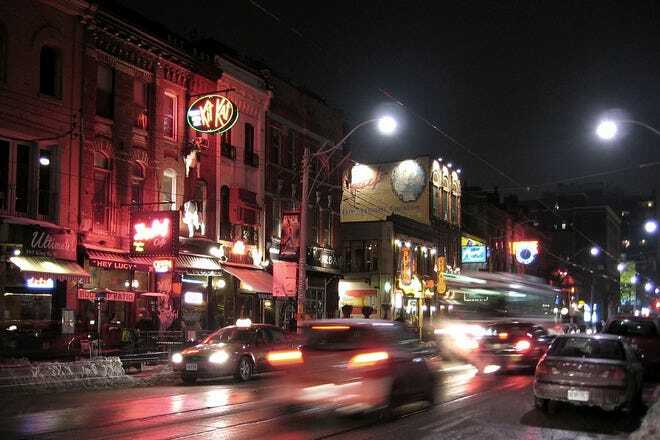 Little Italy, Little Portugal, Chinatown and Little India were named for the first ethnic group to settle there while Yorkville, the Annex, and Queen West were once scruffy, questionable parts of town re-invented by the artists who moved there. Corktown, Bloorcourt, the Junction, Dundas West and Leslieville are the newest crop of distinctive neighborhoods being transformed by locals. With over 50 theaters and close to 10,000 performances a year, Toronto is an important center in the English-speaking theater community. The Elgin and Winter Garden Theatre Centre are the world’s sole surviving examples of the Edwardian stacked theaters (one on top of the other). It has a rare collection of collection of vaudeville sets and scenery. Both these elegant theaters host a variety of productions including musicals and operas. Another treasure is the 1907 Royal Alexandra is one of the oldest theaters in Toronto. This grand dame hosts many Broadway and West End productions. Massey Hall and Roy Thomson Hall are both famous venues for musical performances. The newly erected Four Seasons Centre for the Performing Arts is the new home for both the Canadian Opera Company and the National Ballet of Canada. Often called "Hollywood North," Toronto is also a sought after location for its ability to resemble New York and other North American cities. Each fall, Holywood stars and the rest of Tinseltown comes for the acclaimed Toronto Internationall Film Festival which draws countless filmgoers and has become an increasingly important showcase for new films. Maybe ESPN has voted Toronto as the worst place to watch pro sports. So, the hometown hockey team, the Maple Leafs, is known in the league as the Maple Loafs and hasn't won anything since 1966. Okay, the Blue Jays haven’t won a baseball World-Series since the early 1990s and the Grey Cup has alluded the Toronto Argonauts football team since 2004. It’s true that both the pro basketball team the Raptors and Toronto FC soceer team have never even come close to a championship game. Torontoians are die-hard fans and support their teams even when they are perpetual losers. Now, that’s the sign of a true sports town.